In 2004, five Quail Creek women decided to form an organization that would meet monthly and be open to all the women of Quail Creek in Green Valley, Arizona. Many meetings were held to establish the rules and objectives for the club that they named simply The Women of Quail Creek. The Mission of the club was to discover and develop awareness of current affairs and provide relevant information and education. The new organization would also provide an opportunity for socializing and give support to the welfare of the women residing in Quail Creek and their families. 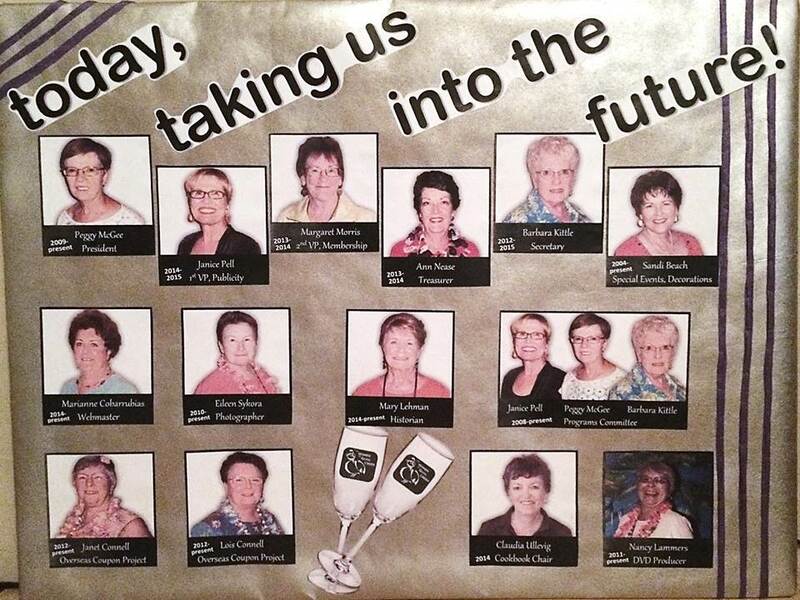 The first Executive Board members were Joy O’Farrell, Chairman; Joann Street, Membership; Carolyn Ireland, Publicity; Suellen Vatter, Secretary, and Jan Howard, Treasurer. 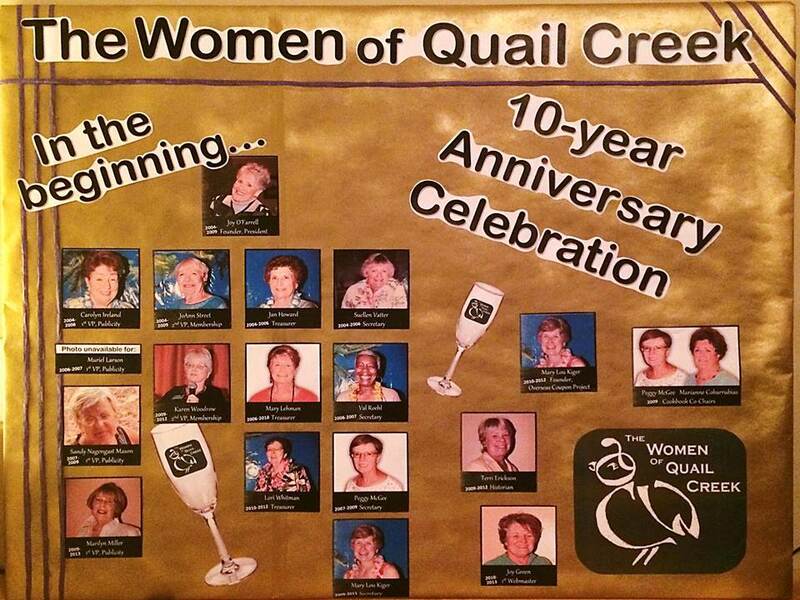 The first meeting of the Women of Quail Creek was held in March of 2004 and with approximately 40 ladies attending. Click to enlarge photo board. Today that small group continues to meet monthly and has grown to over 370 members (in 2014).